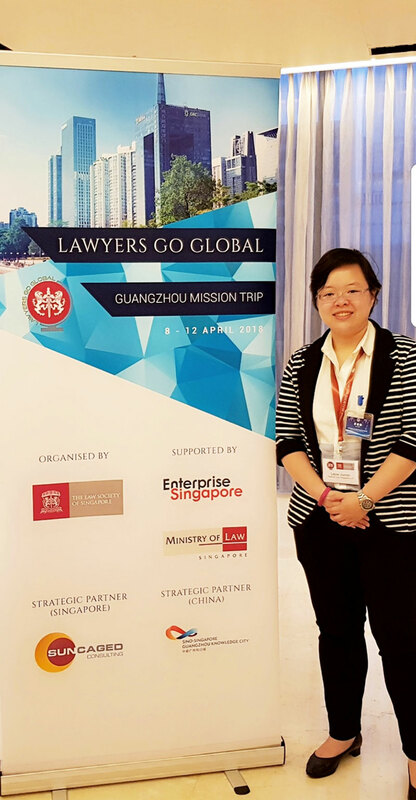 When the Ministry of Law (alongside the Law Society of Singapore and Enterprise Singapore) announced in February 2018 that the Lawyers Go Global programme was starting with Guangzhou, I jumped at the opportunity without any hesitation. Ever since China unveiled the One Belt One Road initiative (一带一路) in late 2013, the One Belt One Road initiative has been a keyword we would often hear in the daily news. Guangzhou sits as the most populated city in the Greater Bay Area (大湾区), a region which has its gross domestic product (GDP) measured in trillions of US dollars. The Greater Bay Area, comprising of Guangzhou (广州), Shenzhen (深圳), Zhuhai (珠海), Dongguan (东莞), Huizhou (惠州), Zhongshan (中山), Foshan (佛山), Zhaoqing (肇庆), Jiangmen (江门), Hong Kong (香港) and Macau (澳门), has been touted as the 21st century maritime silk road, and is an important pillar in the One Belt One Road initiative. After hearing and reading about the One Belt One Road initiative and the impact it potentially has on Singapore for many years, I was hoping to understand more about the developments from people on the ground (ie, the Chinese lawyers who are involved in the legal developments in the region, or from businesses who have expanded into the region). 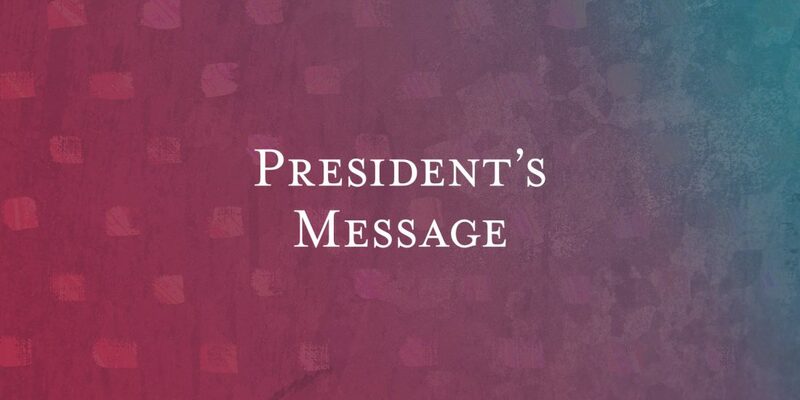 The Guangzhou mission trip, to me, was the perfect opportunity. 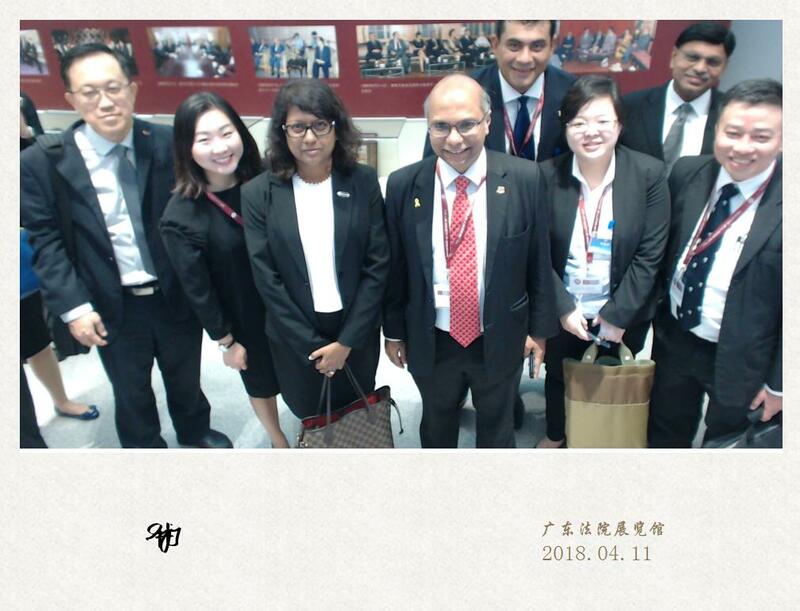 Fast forward two months, I was with 32 other fellow Singaporean lawyers, en route to Guangzhou on 8 April 2018. With the delegation comprising of many senior lawyers, it was a humbling experience and a great chance to benefit from the wealth of knowledge from within the delegation as well as through the visits in the programme in Guangzhou. Day one started with a quick tour of the Guangzhou on a cruise along the delta river and, of course, delicious Cantonese cuisine. Day two comprised of various talks by key personnel on the visions of Sino-Singapore Guangzhou Knowledge City (SSGKC) (中新广州知识城), a tour of the SSGKC’s premises and the Patent Examination Cooperation Centre of the Patent Office, SIPO, Guangdong (国家知识产权局专利审查协作广东中心) also located within the SSGKC. Day three started with a meeting with the Guangzhou Lawyers Association (广东省律师协会), a lecture by a Chinese lawyer and ended with a lawyers networking session. Day four included a visit to the Guangdong Higher People’s Court (广东省高级人民法院), a formal discussion with the Chinese judges, a meeting with the Guangdong General Chamber of Commerce (广东省商业联合会) and a closing networking dinner. 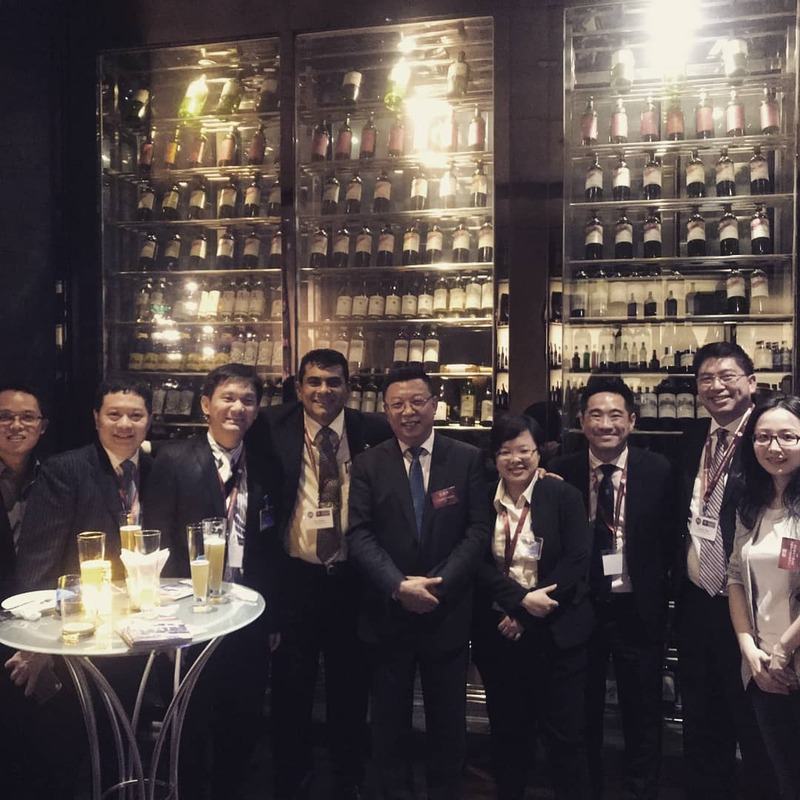 The biggest key takeaway from all the networking session with the Chinese lawyers in the Greater Bay Area was their eagerness to establish relationships in ASEAN. Most of which seemed to be driven by the enthusiasm of Chinese businesses wanting to expand into ASEAN. This expansion sits squarely with the One Belt One Road initiative, which emphasised on the economic interconnectivity between China and neighbouring regions (including ASEAN). The Chinese lawyers we met viewed Singapore as an important entry point into ASEAN. 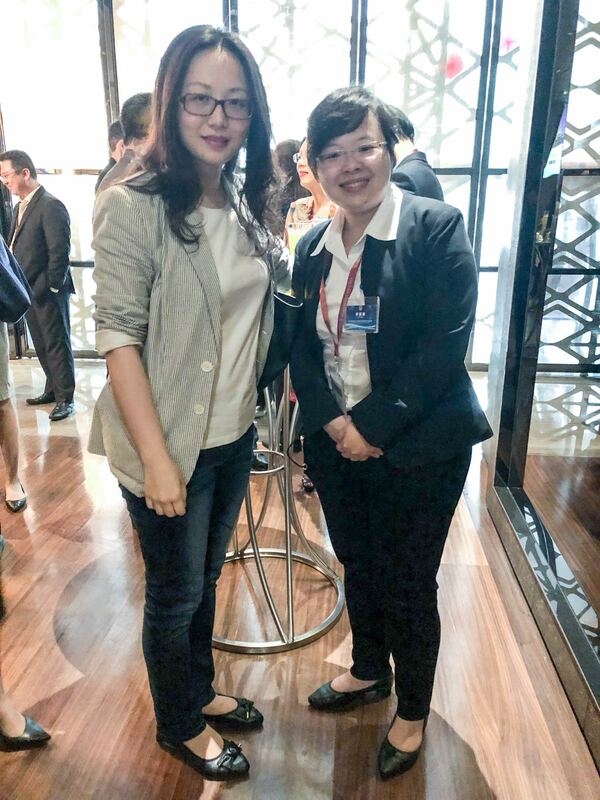 With many in Singapore speaking mandarin and various Asian languages, the Chinese lawyers seemed to also view Singapore as a natural choice as they felt that language barrier would be less of an issue. With Singapore chairing ASEAN in 2018, this may be the perfect chance for the delegation to strengthen the relationships that were forged with the various Chinese lawyers during the mission trip. Throughout the trip, we were overwhelmed by numbers, and I am not just referring to the number of times the phrase “One Belt One Road” was brought up in each conversation. Representatives from various cities of the Greater Bay Area shared with us the GDP figures in each of their cities – all of which were in the tens of billions of US dollars. 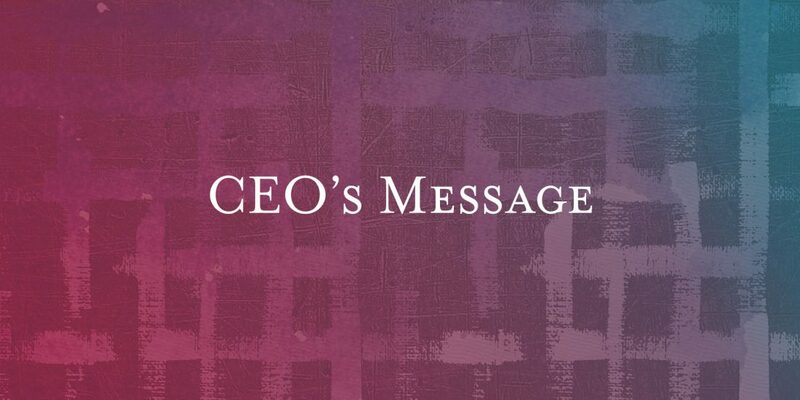 GDP was not the only overwhelming monetary value that we faced. The Guangdong Higher People’s Court only has jurisdiction over cases involving disputes valued more than RMB$500 million (about SGD$100 million). One wonders how many cases surpassed that threshold but rest assured that the Courts remain as busy as ever. If you were wondering, the subordinate Intermediate People’s Court has jurisdiction over disputes valued more than RMB$100 million (about SGD$20 million). Only China, the most populated country in the world (surpassing 1.4 billion),1 See “World Population Prospects: The 2017 Revision”, United Nations, Department of Economic and Social Affairs, custom data acquired via website <https://www.un.org/development/desa/publications/world-population-prospects-the-2017-revision.html> (last accessed 5 June 2018). can boast such numbers and they are impressive indeed. Even the number of WeChat (微信) conversations was overwhelming. At present, I receive more WeChat notifications than WhatsApp on a daily basis, and I get to know new Chinese lawyers on WeChat almost every day. There was no doubt that this had provided ample practice for my written mandarin since my mandarin classes in secondary school. Jokes aside, the warm reception that the Chinese lawyers have extended to us was evident even weeks after returning from the trip. The warm reception during the trip was also tremendous. Each Chinese lawyer we met did not hesitate to invite us to visit their law firms on the same day or the very next day. Unfortunately, the Lawyers Go Global programme was packed and we only managed to squeeze in a small number of visits. Of those that we managed to visit, the use of technology never failed to surprise us. There were mobile applications that allowed clients or lawyers to order beverages to be sent to specific meeting rooms. Some were also in the midst of arranging for robots to eventually welcome clients at the reception area. 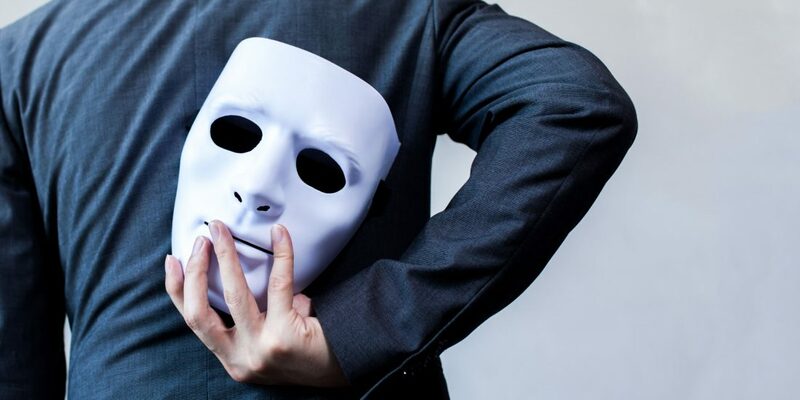 Some partners also shared about internal proprietary programmes that stored decisions and allowed one to filter through them at ease or to even generate a prediction on a particular point of law. One law firm even managed to replicate the courtroom setting in one of its meeting rooms, down to the details of the chairs. Whilst Singapore law firms may view such use of technology in law firms as a little excessive (as some do not strictly go towards the substantive practice of the law), it speaks volumes at which the technology is developing and being applied. Having said that, there was one application of technology that we witnessed in China which I felt would most definitely be welcomed by lawyers in Singapore – the Guangdong Higher People’s Court featured an automated and free live transcribing service. A computer would generate the mandarin words spoken in the courtroom at a high level of accuracy almost instantaneously on the screens before the judge, parties, witnesses and the public gallery. The emphasis on innovation and intellectual property in China may draw its own criticisms, but it has allowed the creation of new technology whilst lowering costs, which has been a driving factor of such widespread application. Whilst watching the evening Chinese news on CCTV-1 (中央电视台综合频道) during the trip, the topic of intellectual property was repeated daily. It was therefore no surprise that the State Intellectual Property Office (SIPO) received 1.3 million patent applications in 2016, which was more than the total received by the US Patent and Trademark Office, Japan Patent Office, Korean Intellectual Property Office and the European Patent Office.2 See “World Intellectual Property Indicators 2017”, World Intellectual Property Organisation <http://www.wipo.int/edocs/pubdocs/en/wipo_pub_941_2017.pdf> (last accessed 5 June 2018). To cope with the numbers, the Patent Examination Cooperation Centre of the Patent Office, SIPO, Guangdong (国家知识产权局专利审查协作广东中心), which was only one of the patent examination offices in China, housed more than 1,500 patent examiners. 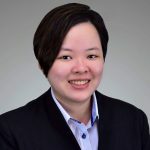 Being a lawyer who practises intellectual property law in Singapore, the extent to which intellectual property was emphasised in China and the changes it has brought to the country was one that was most intriguing. Although I have visited various Chinese cities over the past few years, I am thankful for being part of the mission trip to Guangzhou which allowed me the opportunity to visit China with a different perspective. I definitely look forward to returning to Guangzhou and the Greater Bay Area to visit the Chinese friends I have made and there is no doubt that we all recognise that there is much that we can learn from each other. 1. ↑ See “World Population Prospects: The 2017 Revision”, United Nations, Department of Economic and Social Affairs, custom data acquired via website <https://www.un.org/development/desa/publications/world-population-prospects-the-2017-revision.html> (last accessed 5 June 2018). 2. ↑ See “World Intellectual Property Indicators 2017”, World Intellectual Property Organisation <http://www.wipo.int/edocs/pubdocs/en/wipo_pub_941_2017.pdf> (last accessed 5 June 2018).